Monike is the Learning and Development Manager for FrieslandCampina WAMCO. She is responsible for the full implementation of development plans and initiatives for about 1,500 employees. Monike is equally responsible for recruitment, and management of the “Young Professionals” – a two-year programme of FrieslandCampina WAMCO, designed to fill the leadership pipeline for the company. Before joining FrieslandCampina WAMCO, she worked as a consultant from 2001 to 2016 in some of the top consulting firms in Nigeria, including PwC, and FITC. In her consulting years, she was involved in and led teams that conducted different consulting projects for both private and public sectors. Monike is an associate of Chartered Institute of Personnel Management of Nigeria (CIPMN) and holds the Human Resources Practitioners Licence (HRPL). She is a member of the Nigerian Institute of Training and Development (NITAD), and International Society for Performance Improvement (ISPI). She is a Certified Thomas International Personality Profile Analysis Practitioner, a personality profile analysis tool, and a Certified Persona GLOBAL Consultant. 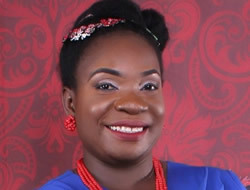 Monike holds a Masters and Bachelor’s degree in Mass Communication from the University of Lagos, and she is studying for a doctorate programme from Walden University in the USA. Monike is a mother of a very active and affectionate son, and when she is not working or caring for her son, she uses her God-given talent of acting as a member of Freegift International, a drama evangelism ministry based in Lagos.